Philosophy is the use of reason in understanding such things as the nature of reality and existence, the use and limits of knowledge and the principles that govern and influence moral judgement. To the average man, however, philosophy is nothing but a highbrow subject meant for academics. All philosophers from Socrates to Jiddu Krishnamurti have studied the fundamental nature of existence of man and his relationship with it. Subjects such as history or mathematics deal with certain aspects of life. However, philosophy deals with the whole realm of life. Although philosophy will not tell you where you are, it would tell you whether you are ruled by a democratic leader or a despot. It would also educate you on how to distinguish between reality and illusion. attribute - his basic means of survival. According to philosophy, most of us try to evade answering three basic questions: Where am I? How do I know it? What should I do? Until we grow old, we think that we know the answers to these questions. To the first question, you would say, “I am in Sri Lanka or China.” To the second question, you would say that it needs no explanation. To the third question, you would say, “I am not sure. I’ll do what others do.” We are blissfully unaware that only philosophy can answer such questions. We find philosophy difficult to understand because most philosophers speak to us in a different lingo, raising questions and not answering them adequately. They say there are no definite answers to their own questions. But Leonard Peikoff refers to a different type of philosopher who is supposed to be the greatest salesman of philosophy we ever had. The philosopher is Ayn Rand who was also a highly successful novelist. Ayn Rand’s romantic best seller Atlas Shrugged was fundamentally a philosophical novel. 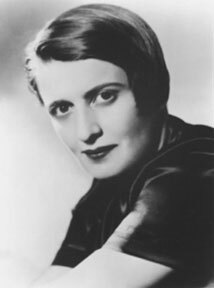 According to critics, she could market philosophy easily because of her particular philosophy - Objectivism. Ayn Rand firmly believed that man needs philosophy that includes metaphysics, epistemology and ethics. He needs philosophy to think, act and live meaningfully. To Rand, philosophy was not a bundle of abstractions beyond man’s comprehension. It is also not a chess game divorced from reality. Philosophy is the fundamental factor in human life. It is the force that shapes the mind and character of man and the destiny of nations. So, we cannot dismiss philosophy as a subject beyond our realm of understanding. Anyone who is familiar with Rand’s writings will realise that philosophy helps him to identify and evaluate premises at work in his own life or nation. In a way, philosophy rules man and nations even without their knowledge. For instance, when a man or nation acts rationally, the ultimate result is a harmonious life. On the other hand, when they act irrationally, the result is a chaotic situation. Many examples can be cited to prove this point. We see notorious criminals who act irrationally and unethically end their life tragically. Similarly, terrorist leaders who fight for an irrational and unethical cause usually get what they deserve, death at the hands of security forces. Some powerful countries such as the United States attack Third World countries irrationally. They may be unaware that they are incurring the wrath of small but independent nations. Those who kill innocent children, women and men have no compunction about what they do. Drug addicts and those who are bent on nefarious activities do not think of the repercussions of their actions. Although all of us cannot become philosophers, let us drink deep at the fountain of knowledge bequeathed to us by a long line of eminent philosophers down the ages.